I am probably going to take a few days off from the blog as I will be in the car heading down to Albuquerque for a couple nights. I know I didn’t just make it back to the reunion in Ohio last weekend, but this trip doesn’t require a plane ticket and time off of work – which I have a deficit of at this moment. So while I will have much time in the auto, I won’t have it with free hands and mind to construct a blog. Time for you folks to share some of your summer stories to fill in the blanks. It need not be long or extravagant. 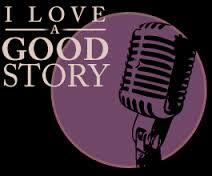 If you have a story just share it. Send it to me at Betty@thelaughyouknow.com and I will post to share. Everyone loves a story and you all deserve some from others besides me.